"Following the trail left by an unfinished quilt, this illuminating saga examines slavery from the cotton fields of the South to the textile mills of New England—and the humanity behind it. When we think of slavery, most of us think of the American South. We think of back-breaking fieldwork on plantations. We don’t think of slavery in the North, nor do we think of the grueling labor of urban and domestic slaves. 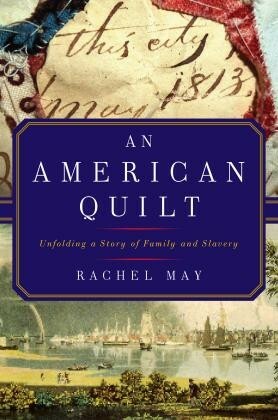 Rachel May’s rich new book explores the far reach of slavery, from New England to the Caribbean, the role it played in the growth of mercantile America, and the bonds between the agrarian south and the industrial north in the antebellum era—all through the discovery of a remarkable quilt. While studying objects in a textile collection, May opened a veritable treasure-trove: a carefully folded, unfinished quilt made of 1830s-era fabrics, its backing containing fragile, aged papers with the dates 1798, 1808, and 1813, the words “shuger,” “rum,” “casks,” and “West Indies,” repeated over and over, along with “friendship,” “kindness,” “government,” and “incident.” The quilt top sent her on a journey to piece together the story of Minerva, Eliza, Jane, and Juba—the enslaved women behind the quilt—and their owner, Susan Crouch. May brilliantly stitches together the often-silenced legacy of slavery by revealing the lives of these urban enslaved women and their world. Beautifully written and richly imagined, An American Quilt is a luminous historical examination and an appreciation of a craft that provides such a tactile connection to the past." Set near the Maine coast, Rachel May’s taut and probing new work of fiction, The Benedictines, conjures up the spirit of Sara Orne Jewett’s atmospheric landscapes. With prose that will have you turning pages in anticipation, May follows Annie James, a passionate, young artist whose decision to take a job teaching for a Benedictine school brings her deep into her students’ lives and up against the limits of control…and, for Annie, the limits of passion. With generosity and insight, May traces the deep conflicts between the human heart and the rules that heart invents. 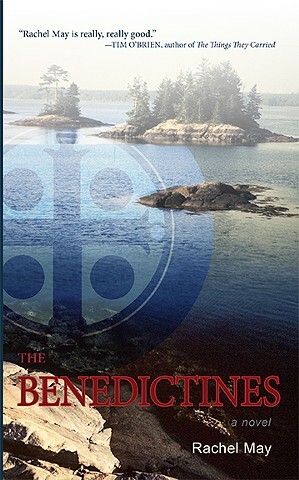 Like the quiet beauty of Maine, The Benedictines is a book that will stay with you for a long, long time. The Benedictines is a taut, vivid, spellbinding, and gracefully written novel. I was amazed at how much power and beauty can be packed into so few pages. Rachel May is really, really good. 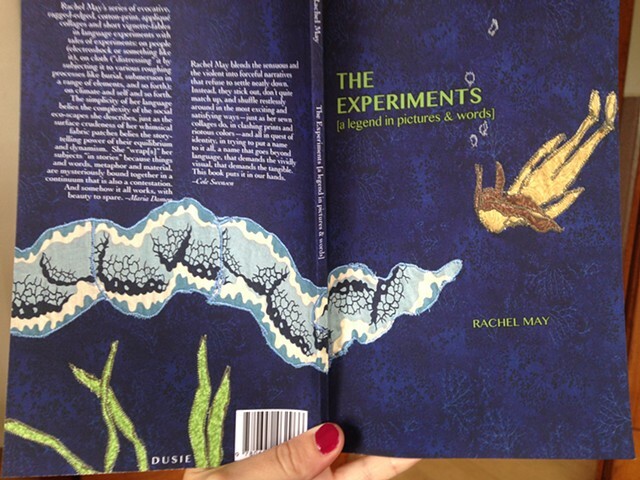 Rachel May’s strange and beautiful vision captured me the very first time I read her writing, years ago, when I was the fiction editor of the Michigan Quarterly Review. We were thrilled to publish her work there, and eagerly awaited more. Her debut novel delivers richly: in The Benedictines, May uses vignettes to render a complex place and people so immediately alive that one can’t help but turn the pages faster and faster. May’s characteristically offbeat, generous humor is a joy, as is her brilliant portrayal of a community navigating vital questions of teaching, belief, and humanity. "My Hand a Needle: A Stitched Statement." Quilting with a Modern Slant was named a Best Book of 2014 by Library Journal, and a Best Book of the Year in two categories ('Crafts, Home & Garden' and 'Editors' Picks: Crafty and Creative Gift Ideas') by Amazon.com. Novellas by Beth Couture and Leslie McGrath are forthcoming this fall, illustrated with my sewn images. The novellas are gorgeous and wonderfully-strange. Illustrating them is a huge honor, and I'm over the moon to the see the cover today -- please see "Sewn Images" (under "About & Images") for the image of the cover. Within the issue, my fiction is published with sewn images. Thanks to John Yau for this conversation. I'm honored to be included in this beautiful issue! I'm excited and so very very grateful to be heading to the Millay Colony this summer! I can't wait to spend a month there, with other artists & writers. Excerpt from the short shorts and sewn pictures project, The Vermont Studio Experiments. Another piece can be found here: Ihttp://wordforword.info/vol19/I Word for Word Issue 19. Thank you to these journals for sending my work into the world! A series of quilted pictures and poems from the book-length work, The Vermont Studio Center Experiments, will be published in Word for/Word this summer. Thank you to MQR for giving my story "Bee & Grim" a home in their upcoming issue! Two new stories ("Soon, Baby, Soon" and "At St. Christopher's, Part 2") have been published in Indiana Review and Cream City Review.